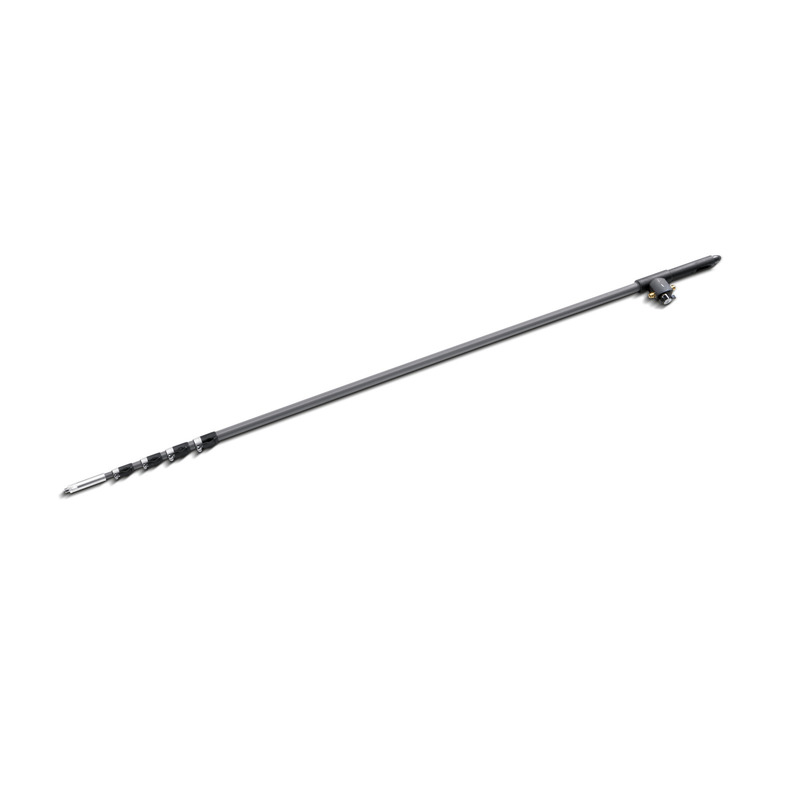 iSolar TL 10 H (without hose) 41070530 https://www.kaercher.com/ae/accessory/iSolar-tl-10-h-without-hose-41070530.html Telescopic rod made from a carbon/fibreglass mixture for maximum rigidity with minimum weight. With 10 m max. reach and practical quick-release couplings for easy extension and retraction. Telescopic rod made from a carbon/fibreglass mixture for maximum rigidity with minimum weight. With 10 m max. reach and practical quick-release couplings for easy extension and retraction. The telescopic rod is made from a carbon/fibreglass mixture (hybrid) and offers maximum rigidity with minimum weight. It has a reach of up to 10 m and is equipped with practical quick-release couplings - for convenient extension and retraction. The speed is regulated via ball tap, which ensures easy handling. The carbon/fibreglass mixture is also used for the lowest rod element for electrical insulation and work safety.